Is Your Boat Creating Unwanted Expenses? During the winter in the northern part of the U.S., owning a boat is pretty much useless. More so if you live in areas such as Michigan, New York, or New Jersey. Although summer boating may be a pleasure many wish to have, during the winter owning a boat does nothing but burn a hole in your pocket. Is your boat creating unwanted expenses? Are you looking to cut expenses and start finding ways to save more money? If so, eliminating one of your largest expenses, such as your boat is a great place to start! So, you bought a boat out of impulse because, well hey, who doesn’t want a boat? Now you going through your first winter as a boat owner, and have come across issues that you didn’t think about when you were signing the title at the dealership. Such as off-season expenses. Unfortunately for most of us, the fun in the sun has ended. The cold winter months are approaching and it is time to winterize your boat. 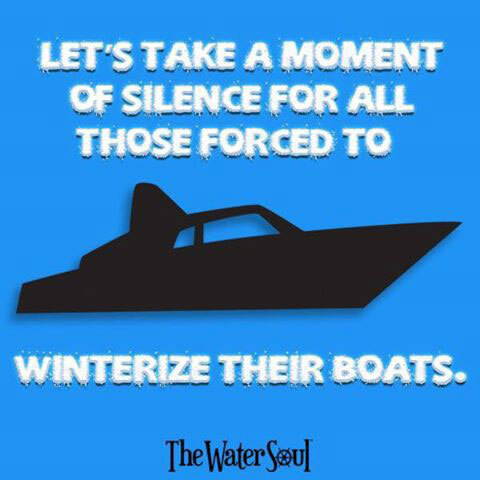 In addition, any responsible boat own should follow some good guidelines to winterize your boat. Of course, if you feel like you no longer want your boat or plan on buying a new one. Then you can sell your old boat to us at Sell Us Your Boat. Also, we offer fair prices on any used boat in decent condition. Fun Events Near Tampa Bay in September for Boat Fans! Get ready to fish ladies this is the 28th annual tournament to benefit Celma Mastry Ovarian Cancer Foundation. The payout is nice and it’s for a good cause!